Dynamic Programming – Kadane’s Algorithm | What I learn, I blog ! 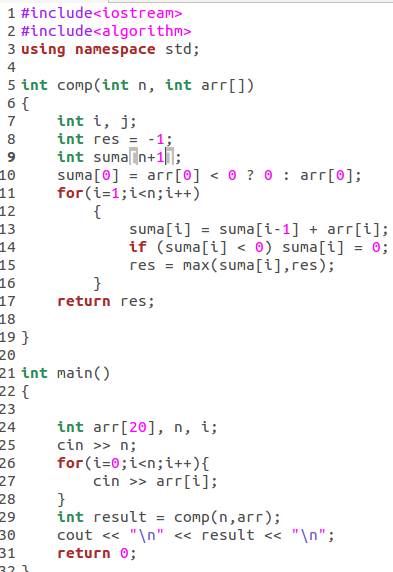 Question: Write a program to find the sum of contiguous subarray within a one-dimensional array of numbers which has the largest sum. We need to focus on the fact that whenever sum of digits of array goes less than zero it is better to keep the sum as 0. Anywhere we’ll encounter a positive integer we’ll again start the sum. So 7 is the result.